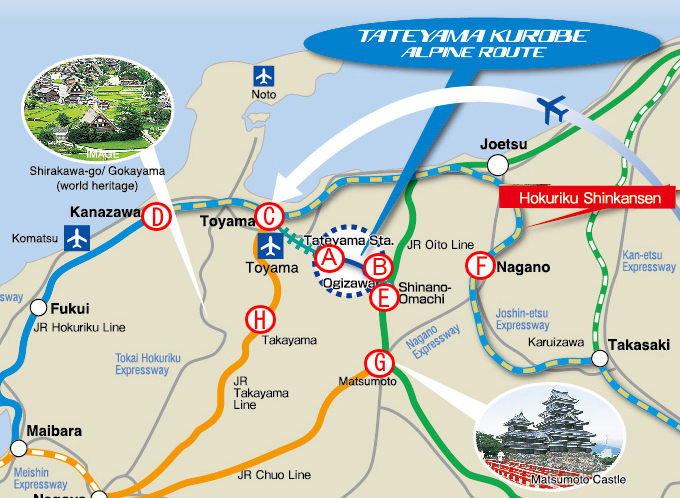 Please be aware that due to bad weather—snowfall and high winds—service may be suspended for the Tateyama Kogen bus (Bijodaira-Murodo), and delays in the schedule are possible. For service conditions, please visit the top page of our website or ask local station officials. 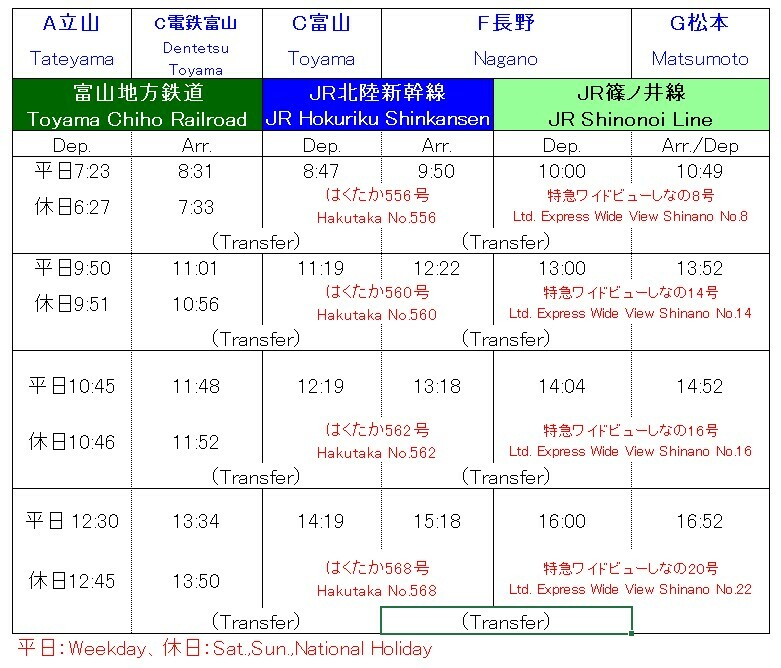 If service is suspended and passage along the Tateyama Kurobe Alpine Route is not possible, please head to your destination through Nagano,Matsumoto. ■The information posted on this website has been carefully prepared. 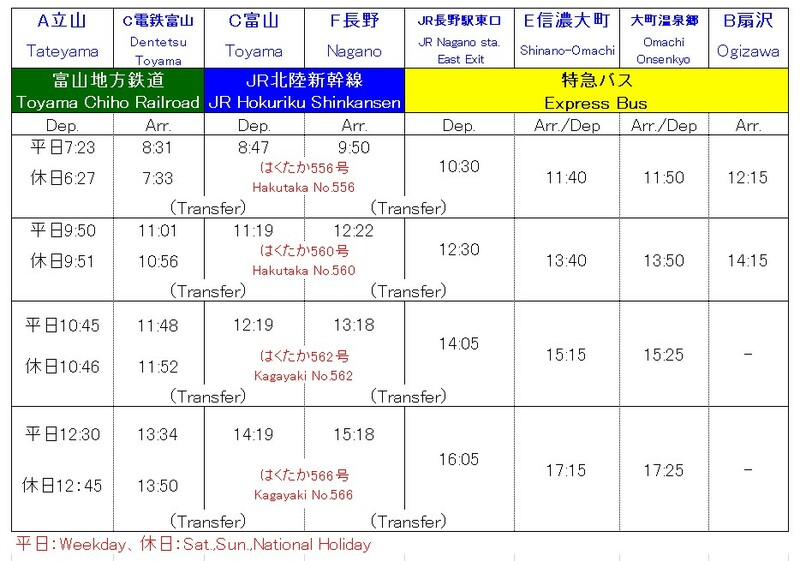 As, however, it includes information from third parties such as JR that has been provided for public convenience, please understand that our company bears no responsibility for its accuracy. Also, we bear no responsibility for any damages incurred based on information obtained from this website.